This was the second day of our tour of Kyoto with Ken. He continued to be very informative of the history of all the places we visited. He was flexible in the schedule - when one of the tour members asked to visit the Catholic Church, he complied with the request. He went over his duty as a tour guide by helping us purchase our bullet train tickets to Tokyo. We had a hard time buying our tickets the first time in Narita because of language barrier. Thanks Ken for being so helpful and patient with us. We had 2 full days tour of Kyoto with Ken. He is a pleasant guide. He was considerate to one of our disabled tour member. He was always on the look out to make sure we do not get lost in the busy streets in Kyoto. He is very informative with extensive knowledge of the history of the places we visited. He is very patient especially with photo taking- he volunteered to take photos of us which helped a lot. I highly recommend Ken to anyone. Thanks Ken for a memorable experience of Kyoto. We spent 2 enjoyable days touring Kyoto with Ken. We found Ken to be very knowledgeable and enthusiastic. He also had a great sense of humor! His communications were thorough and he was very flexible, adjusting the schedule to meet our needs as well as the weather changes. We don't usually do tours, but are very happy we chose to use Tours By Locals during our stay in Kyoto and highly recommend Ken. Such an enjoyable day with Ken. We would highly recommend him. He keep the day interesting and fun. Great day with Ken in Nara Japan. Wonderful guide who is very adept at mixing historic culture with modern day society. Provides the key points but does not overwhelm with too much information. Also, wonderful photographer. TOUR GUIDE RESPONSE: Hi Mark, Thanks for your another five stars. Hope you will bring great memory back home. -Ken S.
I loved hanging with Ken for the day. He has run an incredible number of tours and totally knows his way around. He also was very considerate of one of our party who was wiped out from cancer treatments, finding the elevator and other ways to avoid the stairs in the subway and train stations. He also has knowledge of great places to eat. I highly recommend hiring him. TOUR GUIDE RESPONSE: Hi Richard, Thanks for your five starts. I really enjoyed your company today. Hope you can enjoy skiing at Niseko on your way back home. -Ken S.
Ken was a wonderful tour guide. He is very knowledgeable about Kyoto and its history. The itinerary was great. He took us to a fabulous lunch spot. All costs were according to the budget he carefully describes in the tour description. We would highly recommend Ken. Thank you for a wonderful day. TOUR GUIDE RESPONSE: Hi Melanie, Thanks for your five stars. Hope you have brought great memory back home. -- Ken S.
Ken was an excellent guide. He is very knowledgeable and we went to many places that tour groups either did not go or didn't spend enough time to fully appreciate the site. I'm very glad I selected Tours By Local and especially Ken. TOUR GUIDE RESPONSE: Hi Gary, Thanks for your five stars. And thank you for your cooperation during the tour. I fully enjoyed your company. Hope you will bring great memory back home. -- Ken S.
TOUR GUIDE RESPONSE: Dear Rabbi Jensen, Thanks for your evaluation. There were so many sites you needed to visit during your short stay in Japan, which had not been covered and planned per our customized tour plan. I understood you were so busy and tired, because this trip had a mission for preliminary survey for your summer school trip. And I am sorry I cannot accept your proposal to take care of your summer school trip, due to my schedule. Best regards, Ken S.
A belated "arigato" to Mr. Ken-san who was a tremendous help before and during our 2-day visit to Kyoto and Hiroshima. We couldn't figure out the rail schedule from the various websites so he sorted out everything for us before we got to Japan. He was knowledgeable, good English, and very personable. This tour was our best tour in our 2 weeks trip in Japan! Thanks to Ken who's got deep knowledge of Kyoto history, it's public transportation (and his knowledge on everything else! ), we've learned/experience a lot of western Kyoto through Ken & saved heaps by using train & bus instead of a hired taxi. Definitely we'll ask for Ken's tour again to explore other areas of Kyoto when we visit Kyoto again in the future. Thanks again Ken! TOUR GUIDE RESPONSE: Hi Tram, Thanks for your five stars. Looking forward to meeting you at the next tour. -Ken S.
TOUR GUIDE RESPONSE: Thanks for your five stars. Wish a great seasons greeting for your family ! -Ken S.
Great Tour with an excellent guide. Ken was extremely knowledgeable and made the trip really interesting. We travelled with 5 teenagers and they all loved the day trip with Ken. We got to see some amazing scenery, wonderful temples and learned so much about Kyoto's history. Travelled on multiple trains to get to various places efficiently with no time wasted, thanks to Ken.Highly recommend. TOUR GUIDE RESPONSE: Hi Sirisha, Thanks for your five stars. I have enjoyed your company too. Hope you would keep great memory about Kyoto and be back here soon. -Ken S.
Ken was very accommodating, and informative. So pleasant to be with and made sure we got great photos, working around the large crowds. He was an expert not only the best photo spots and best composition, but working the crowd to get us shots without others in it. Impressive. Thank you Ken for great day!! TOUR GUIDE RESPONSE: Hi David, Thanks for five stars. Hope you have great memory back home. -Ken S.
Ken was a great and enthusiastic guide, we couldn't be happier with the tour. He didn't rush us, and was happy to let us explore things we were interested in. Highly recommended. TOUR GUIDE RESPONSE: Hi Albert, Thanks for your five stars. Hope you will bring great memory back home. -Ken S.
Visiting Japan for the 1st time and visiting ancient Japan - starting in Kyoto - what better than to vist this with someone from the area! Th day spent visiting parts of Kyoto with Ken San was extremly interesting & educational. Certian cities besides being visited indivually need that extra bit of being seen and heard from a local point of view. Ken San was very professional and a great guide. My thanks to him for the insights he shared abiut Kyoto and Japan! Arigato Gozaimas Ken San! TOUR GUIDE RESPONSE: Hi Rami, Thanks for your five stars. Hope you are well and enjoy your business of photographs. Looking forward to meeting you again. -Ken S.
We highly recommend Ken as a private tour guide of Kyoto. With only 3 days in Kyoto, we booked Ken for our last day so he could take us to all the sites that we missed the previous 2 days. After emails in advance, on the day of the tour, Ken met us at our ryokan and we were off--8 hours of brisk walking, subways, taxis, a trolley and a bus! From the bamboo grove to the Golden Palace to a special fire ceremony and a temple with 100 buddhas that wasn't on my list but turned out to be a treasure. Thanks Ken! TOUR GUIDE RESPONSE: Dear Chris and Joe, Thanks for your five stars. Hope you have brought great memory back home. -Ken S.
What can I say Ken is a great guide book him immediately. TOUR GUIDE RESPONSE: Hi Bryan, Thanks for your five stars. Hope you will continue enjoying great tours. -Ken S.
Ken provided an interesting tour tailored to our exact requirements. He escorted us on the public transport system expertly and provided a running commentary on all that we saw. Ken gave us many insights into local life. He is especially good in recounting the history of the area and answered all our questions. Ken provided very good company for the tour, he is friendly with a great sense of humour and made us feel very at ease. TOUR GUIDE RESPONSE: Dear Howard, Thanks for your five stars. Hope you will bring great memories back home. -Ken S.
Ken is a great tour guide. We had a day to see the highlights of Kyoto and Ken tailored our visit exactly the way we wanted it. Furthermore, at any time he would include anything he found relevant, which added to our tour. His love for guiding us around was evident and his knowledge of the sites is unparalleled. It makes for a great combination! I would/will use Ken next time I'm in Kyoto, without a doubt. TOUR GUIDE RESPONSE: Hi Pedro, Thanks for your five stars with complimentary. Hope you have brougjt great memories back home. -Ken S.
Our tour for 8 people was great! Ken did an excellent job of keeping us on schedule, making sure we got beautiful photos and a delicious lunch. Definitely recommend Ken for his wide ranging knowledge of Japanese history! TOUR GUIDE RESPONSE: Hi Eileen, Thanks for your five stars . Hope you will bring great memory back home. -Ken S.
We learned a lot and saw everything on our list, plus some additional gems recommended by Ken on our private day tour. Happily recommend him! TOUR GUIDE RESPONSE: Hi Darla, Thanks for your five stars. Hope you will bring great memories back home. -- Ken S.
Spent a great day with ken! He listened to our preferences and made it happen! The castle was amazing and the golden pavilion! The restaurant was perfect, the men are still talking about the wagyu beef! And the time at Yamazaki was epic! Definitely correct about hiring a taxi! Made such a difference with the time constraints we had! Highly recommend Ken! TOUR GUIDE RESPONSE: Hi Julie, Thanks for your five stars. Hope you have brougjt great memories back home. -Ken S.
Have already given Ken a five star +++ rating for the two full day tours he gave us. Highly recommended. TOUR GUIDE RESPONSE: Hi Caryl, Thanks for your five stars. Hope.you have brought great memories back home. -Ken S.
If I could give Ken san ten stars I would. He provided two full day tours of Kyoto for four women and was one of the finest guides we had. He was accommodating, knowledgeable, caring and interesting. He made sure that we got to see everything that we wanted and then some. In addition, the restaurants he chose both days were excellent. Thank you Ken for making Kyoto a very special visit. As an aside, the drivers and guides he chose were superb. TOUR GUIDE RESPONSE: Hi Caryl, Thanks for your five stars with complimentary.Hope you have brought great memories back home. -Ken S.
In addition to being a wonderful guide for the sights, Ken is unusually open to answer any questions and engage in dialog on historical and current topics of political, social, economic interest with great insight and humor. TOUR GUIDE RESPONSE: Hi Al, Thanks for your five stars. Hope you have brought wonderfull memories back home. -Ken S.
Ken san was an incredible tour guide. We have taken a lot of tours and many ToursByLocals tours, Ken by far was the best tour guide we have ever had. We were able to see absolutely everything we wanted to see and with his knowledge and commentary, we just had a wonderful day. He was so pleasant and flexible and was able to make many suggestions on where to go. His breadth of knowledge of history and the sites was truly spectacular. We really enjoyed the tour tremendously. Take this tour! TOUR GUIDE RESPONSE: Hi Rebecca, Thanks for your five stars with so much complimentary. Hope you have great memory back home and visit Kyoto again. -Ken S.
Ken had filled for us a day with many experiences in Kyoto. We had much more with him than we could have done ourselves. He arrived very willing and filled every minute of the tour with a wide range of experiences. We managed to see some sites and also to sit down to eat in an excellent place, and even stroll through nature and see spectacular views. We met a nice and responsible person who took care of all our needs throughout the day. We thank him very much for that. TOUR GUIDE RESPONSE: Hi Dan, Thanks for your five stars. Hope you will bring your great memory back home. -- Ken S.
Ken is a very knowledgeable person. He provided us with great insights of Kyoto. He conducted the tour with his heart - an experienced man who does his job for conviction rather than for anything else. The driver and the private car made our Kyoto experience much more better than expected. Highly recommended. TOUR GUIDE RESPONSE: Hi Juan, Thanks for your five stars. Hope you will bring your great memory back home. -- Ken S.
We enjoyed Ken's knowledge, stories and gentle humour. He helped us navigate the public transport system efficiently, to see such a lot in one day. It was a great introduction to our time in Japan as we felt we could ask just about anything. At the end of the day he gave us suggestions and even train timetables for the next day's activities. TOUR GUIDE RESPONSE: Hi Lisa, Thanks for your evaluation. Hope you will bring your great memory back home. -- Ken S.
I wish I could rate a million stars! Ken was such an incredible tour guide, and really did so much to make our visit as special as possible :) He took us to some great spots, and really took the time to explain the history to us/answer questions. He also offered to take photos for us which was so great! He was so kind that he even took us to a place we wanted to go that was a bit far away, and helped us get back to our hotel at the end. All around an incredible tour and person-you can't go wrong with Ken! TOUR GUIDE RESPONSE: Dear Amanda and Jacob, Thanks for your five stars. I am happy you are so happy with my tour. Hope you will bring your great memory back home. -- Ken S.
We were privileged to have Ken as our guide. His obvious pride and love of his city provided a marvellous and illuminating introduction. This was evident in his deep knowledge of Kyoto's remarkable history, and the care he took in explaining the complex inter-relationships between all the players. He was also kind and patient with all our questions. We would unreservedly recommend this gentleman to any traveller who seeks to truly understand the heart of this beautiful city. TOUR GUIDE RESPONSE: Hello Diana, Kevin, and Luthy, Thanks for your five stars. Your company is one my greatest memories on my tour career. Looking forward to meeting you again. -Ken S.
TOUR GUIDE RESPONSE: Thanks Shirley for your five stars. -Ken S.
Ken was amazing! He was so kind and patient and loved to teach us all about Japanese history and customs. My children absolutely loved him! He is very knowledgeable and is eager to share his knowledge with everyone. This was our top tour in Japan. Thank you Ken! TOUR GUIDE RESPONSE: Hi Rayza, Thanks for your five stars. Hope you will bring a great memory about Kyoto back home. -Ken S.
Mr Ken Sakurai was a great guide, very passionate about his home town Kyoto. He met us at our hotel in Osaka, and explained everything during the trip.. We went to Fushimi Inari Shrine, Tempura lunch, Gion, The Kimono Experience and did a bit of shopping... Unfortunately the day was very hot (40C).. maybe we should return to Kyoto in Authum..
TOUR GUIDE RESPONSE: Thanks for your five stars, Emilia. Sorry, we had an unusual hot summer this year. Hope you come back to Kyoto in next Autumn or Spring. -- Ken S.
Ken was wonderful. His English is excellent. We traveled around by public transit, which we would recommend. His knowledge of the history of each site added a great deal to our day. Ken had fun stories about the people who created and lived in the historical buildings, which really brought them to life. The day was everything we had hoped for. Ken was a wonderful tour guide! He was knowledgeable, courteous, and very energetic. We enjoyed an action packed day visiting many sites in Kyoto. We also had a wonderful lunch experience at Ken's favorite restaurant. We highly recommend that you take advantage of this typical Japanese cuisine. Delicious! We thank Ken for an amazing tour day and a memorable experience while in Kyoto. Our time with Ken was fantastic. With three children (ages 2, 6 and 14), having a very knowledgeable and friendly guide plus a vehicle, was the perfect way to spend our first of 5 days in Kyoto. Some of the most famous sites are at the different points of a compass, so particularly with children being able to visit them with ease was ideal. After Ken's deep dip into Kyoto's history we then were able to adopt a more leisurely pace for the rest of our time and enjoy the beauty of the city. Recommended! TOUR GUIDE RESPONSE: Hi Peter, Thanks for your five stars. Hope you have brought great memories on Kyoto back home. -Ken S.
Ken offered a "non-Google" tour (as he called it) of Nara for us. He was very patient, thoughtful and interesting in his approach and discussion. He had previously lived in the United States, so he has strong command of the English language and a good understanding of our culture and what we would appreciate. He provided very helpful guidance and even assisted us with buying our train tickets for the next day. Thank you Ken! TOUR GUIDE RESPONSE: Hi Mark, Thanks for your five stars. Hope you have brought great memory on Japan back home. -Ken S.
Ken did an amazing job with my family despite the difficulty posed by earthquake. TOUR GUIDE RESPONSE: Hi Heidi, Thanks for your five stars. I also appreciated your cooperation to cope with the situation that might have cancelled the tour. Thanks for your wise offer to reschedule the tour to the next day, we did complete our tour. Hope you have brought great memory on Kyoto back home. -Ken S.
Ken is a very knowledgeable guide who accommodated us when we wanted a change in plans and assisted us when my Husband was not feeling well. He did a great introduction of Kyoto and made us want to go back again! TOUR GUIDE RESPONSE: Thanks for your five stars. Hope you have brought great memory on Kyoto back home. -- Ken S.
Our group of five thoroughly enjoyed our tour of Himeji Castle and Kobe with our guide, Ken Sakurai. He was friendly, knowledgeable, considerate of the various needs of the members of our group, flexible and accommodating. This tour allowed us to experience not only the history of Himeji Castle but the beauty of nature at the Kobe Nunobiki Herb Gardens and Ropeway. We also thoroughly enjoyed a delicious Kobe beef lunch at Ken's favorite restaurant. Seriously consider this tour when in Kyoto. TOUR GUIDE RESPONSE: Hi Cheryl, Thanks for your five stars. Hope you have brought great memory back home. -Ken S.
There is not much I can say that's not already been said about Ken. He is a consummate professional who clearly enjoys guiding his guests in Kyoto. He customized the tour for us to make the most of a rainy day and presented options at every turn. He is very knowledgeable about the many historical and cultural sites of Kyoto and provided much context and answered many questions. We thoroughly enjoyed our day. Ken's energy and enthusiasm were infectious. I highly recommend Ken to you. TOUR GUIDE RESPONSE: Hi Mary, Thanks for your five stars. Hope you have brought great memory on Kyoto back home. -Ken S.
Ken was our guide for 3 tours. He was very knowledgeable, friendly, and knew the public transportation system very well. Would highly recommend him for just about any tour. TOUR GUIDE RESPONSE: Hi Richard, Thanks for your five stars. -Ken S.
It was a pleasure to have Ken guiding us through the streets and history of Kyoto. Thanks to his unending energy, flexibility, and profound knowledge of the history of the city, and its logistics we were able to cover a great deal of it and to understand the forces that built and changed it over time. We even had time for a lot of pictures and for the best meal we have had so far in Japan! We are very grateful for having Ken with us and his next group is going to be very lucky. Thanks a lot Ken! TOUR GUIDE RESPONSE: Hi Michel, Thanks for your five stars. Hope you have great memory on Kyoto back home. -Ken S.
A second fun day with Ken. Felt we saw everything we wanted to see with a very fit and considerate guide. He truly enjoys his work! Thouroughly enjoyed Ken for two days. He was full of interesting facts, kept us moving and was receptive to our requests. Great lunch spots too! Highly recommend him! TOUR GUIDE RESPONSE: Hi Sally, Thanks for your five stars. Hope you have brought great memory back home. -Ken S.
We had a wonderful time with Ken, starting from the moment he met us outside our apartment. Throughout a full day he gave us a terrific understanding of Kyoto and Japan's history, which particularly appealed to my father who is a similar age to Ken. Spending the money on the private car was a good investment, ensuring we saw far more than we could've under our own steam. Lunch was great, all the stops were well explained. It meant our short time in this great city was as rich as we could hope. TOUR GUIDE RESPONSE: Hi John-Paul, Thanks for your five stars.I fully enjoyed your people's company. 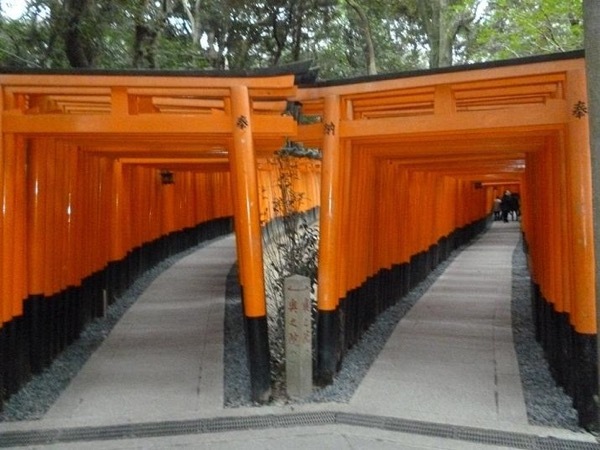 Also glad to hear you have completed your tour with Fushimi-inari on your way back from Hiroshima. Hope you would bring great memories back home. Best, Ken S.
What an amazing day we spent with Ken. Highly recommend him. Knowledgeable, friendly and just a pleasure to guide us through Kyoto. Ken was absolutely wonderful. He was extremely knowledgeable; met us at our ship and made sure we got back to our ship. He accommodated our every wish. I would recommend Ken highly as we were not disappointed. He took care of setting up the perfect day from Kobe to Kyoto. Thank you Ken for a wonderful day. TOUR GUIDE RESPONSE: Hi Eileen, Thanks for your five stars. Hope you have brought great memory back home. -Ken S.
We just finished our first tour with Ken and it was fabulous. He had a driver for us, Yanni (sp?) who was also wonderful. Ken is extremely knowledgeable about his city of Kyoto and Japan. He never missed an opportunity to educate us and to point out interesting history and architecture. He is also very solicitous and was very mindful of our oldest traveler, 87, who needed a slower pace, frequently offering her a hand and a place to rest. We have 2 more tours with Ken and we can't wait! He is a gem. Ken did an awesome job showing us the cherry blossoms and historical sites in an memorable one day tour of Kyoto. He is very friendly and knowledgeable. Highly recommended. Consider yourself lucky if you are able to secure a booking with Ken. It has been the highlight of our family trip. Extremely knowledgable about the history and relevance of each site, we came away wishing Ken could be with us every day. Ken loves Kyoto. His passion for his city shines through for those lucky enough to have him as a guide. Kyoto has such an interesting history. Its role in Japan's evolution has been significant and unique—the extent of which I understand now, thanks to Ken! Those who spend a day with Ken will no doubt come out with a deep appreciation for such a beautiful city. We learned so many fascinating stories about Kyoto. Ken's knowledge is vast and varied. We loved our day with Ken and felt so welcomed in Kyoto. My last tour with Ken we took a 75-minute train ride to Nara where we visited historic sites/temples and the Great Buddha Hall, the biggest wooden structure in the world. All the sites were located in Nara Park where "wild" deer lived. We had a wonderful lunch at Izasa--"steamed sushi" their specialty. We then took another train to see Fushima-Inara Shrine, lined with more than 10.000 red torii. Ken took memorable photos of me. He's so easy to get along with and knowledgeable. Highly recommend Ken! My third tour day with Ken involved traveling by an early 7:30 am train to Himeji Castle, which is really a fort, and a World Cultural Heritage Site. Ken was again very informative--the history, the story of Princess Sen--all so fascinating. We took the train to Kobe, an international port city, and had our Kobe beef lunch--delicious! Finally we went to the Herb Garden by ropeway (gondola). I highly recommend Ken S.
This was my second day tour with Ken S. who was again very excellent in guiding and informing me along the way to the many sites. This was a much quieter day when we went to Keage Station where the hydropower plant was constructed and from there to Nanzenji Temple, which was peaceful and where Ken showed me how a tea ceremony was done. The places where we've had lunch were excellent choices--each different. Today we went to a very famous noodle restaurant. I had another excellent day with Ken. This was my first day with Ken S. who was great. He is very easy to get along with, very knowledgeable about all the tour sites that we visited, had his "secret" routes away from the touristy crowds, and took many wonderful photos of me. When we returned to my Hotel Granvia, which he had recommended for my stay, he showed me around Kyoto Station, up to the Skyway Walk with its great views. He encouraged me to venture out on my own as Kyoto is a very safe place. I would highly recommend Ken. Ken is amazing! He spent a lot of time with me prior to the trip and he is always on time and have a lot of patience with us. His knowledge of the country was far superior to anything we experienced in our travels. We have a lot of laughs too! Definitely recommended. Ken is amazing! He spent a lot of time with me prior to the trip and he is always on time and have a lot of patient with us. His knowledge of the country was far superior to anything we experienced in our travels. We have a lot of laughs too! Definitely recommended. Our tour with Ken was pleasant and informative. We were grateful to be taken to his favourite Kobe beef restaurant. Disappointed that the rope way wasn't working. Enjoyed the tour of Hemiji castle. We also greatly appreciated someone who knew how to navigate us through the confusing train system. But we do feel it was an expensive day for what it was. Ken is a very nice man.